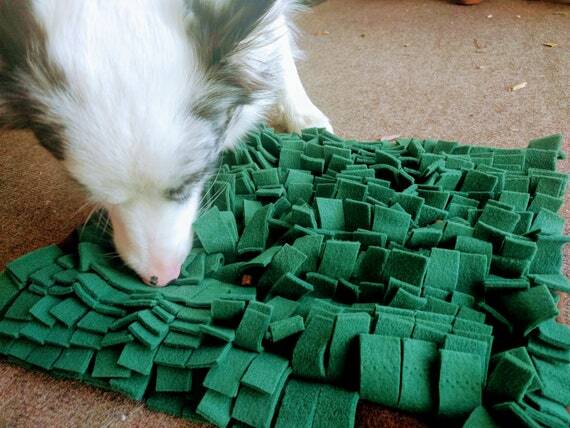 $19.00 Dog Slow Feeding Mat / Dog Interactive Food & Treat Mat / Pet Engaging Play Mat / Pet Foraging Mat $19.50 Egg Collecting Apron One Size Kids - Collecting Multi Purpose Egg Harvest Farm Apron in Farm Animal Print (2 Colors to Choose From) !!! 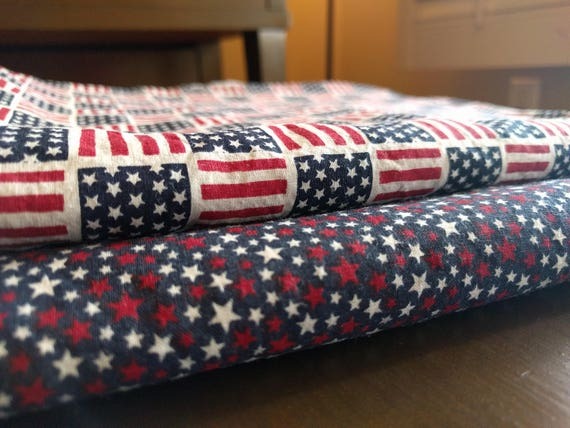 $2.00 4th of July Independence Day Napkins - Red, White & Blue Butterflies (Washable, Reusable, 100% Cotton) Choose Your Amount!!! 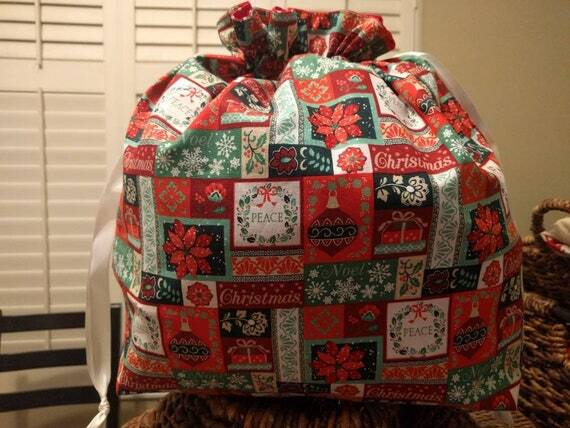 $12.00 Christmas Holiday Fabric Drawstring Cinch Gift Bags - Red & Green Patchwork Traditional Peace Noel Christmas Size Large!! 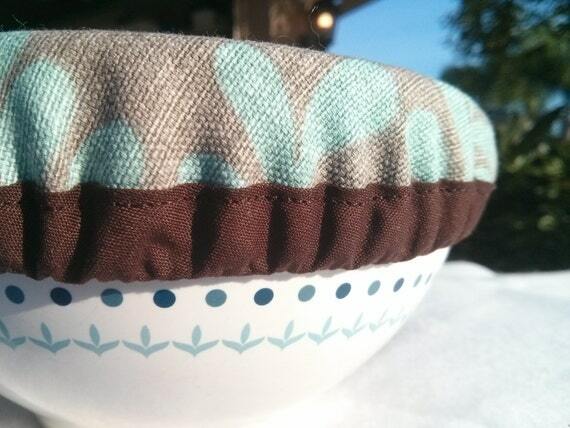 $6.00 100% Cotton Bowl Covers with Elastic (Three Sizes - Small, Medium, Large) - Sold as a Set - Available in 9 Fabric Choices! 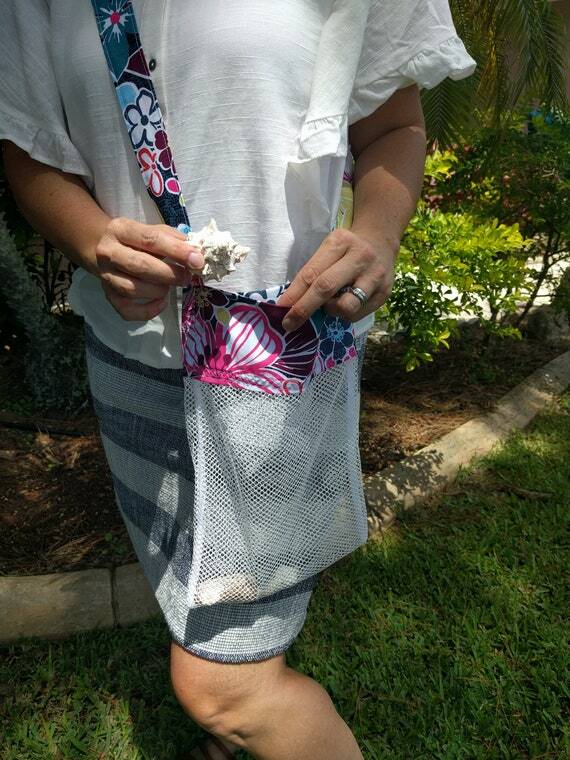 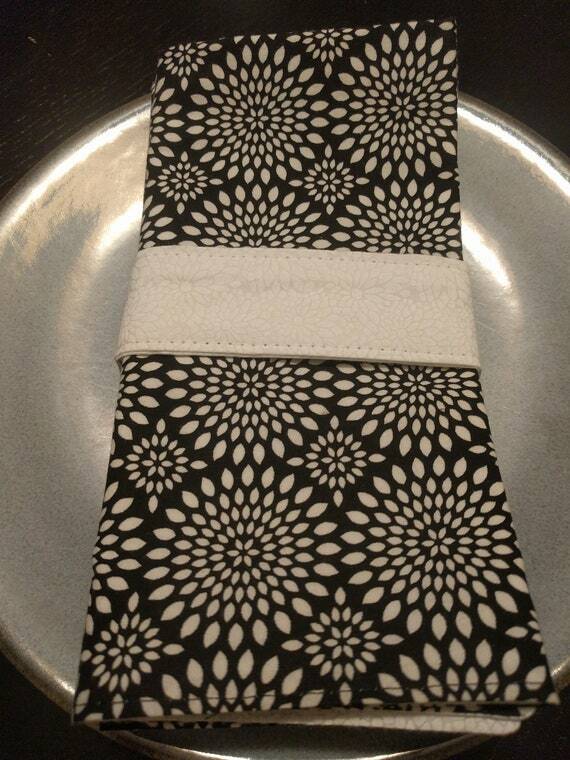 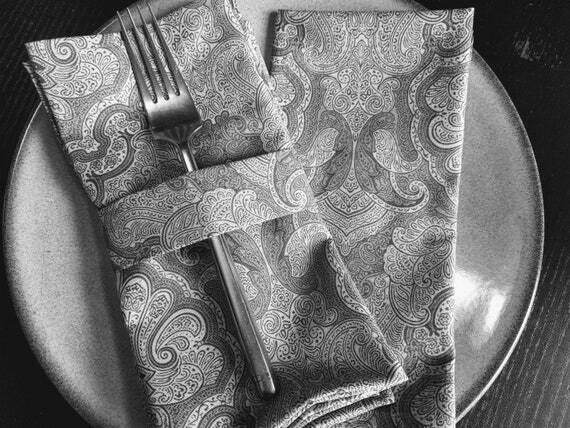 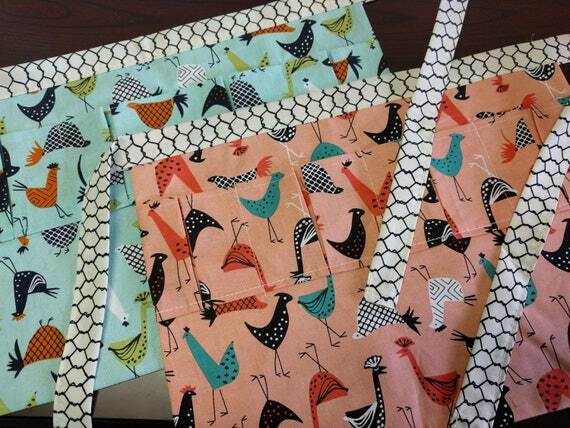 $34.00 Black and White Dinner Napkin Set of 4 - Reversible Cloth Washable Double Sided - Starburst Black & White Backed with White Floral $19.50 Egg Collecting Apron One Size Kids - Collecting Multi Purpose Egg Harvest Farm Apron in Chicken Print (2 Colors to Choose From) !!! 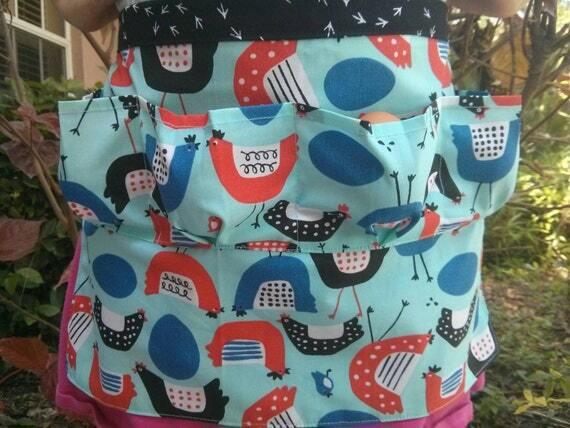 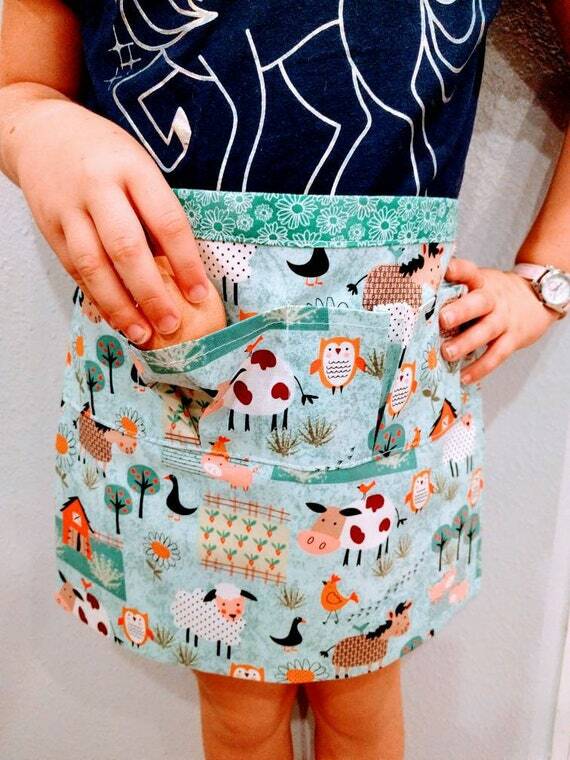 $18.50 Egg Apron One Size Kids - Farm Collecting Harvesting Multi Purpose Apron in 2 Different Modern Chicken Prints with Chicken Footprints! 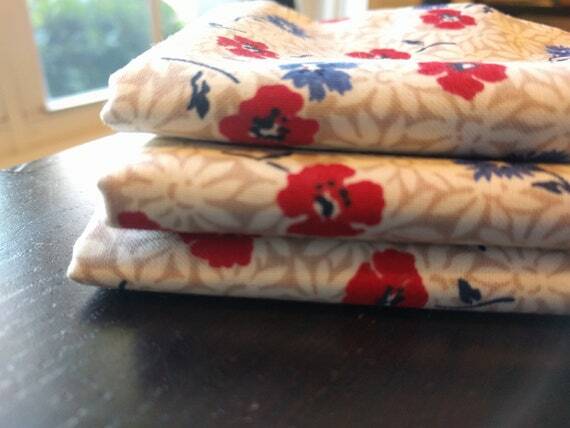 $18.00 Fourth of July Independence Day July 4th Picnic Flowers Red White Blue Reusable Washable Cotton Napkins (16" x 16") Set of 4 $18.00 100% Cotton Reusable Washable Cloth Dinner Napkins - Beautiful Fabric in White and Grey Print (Sets of 4) $18.00 Reversible Independence Day July 4th Picnic Patchwork Stars and Patriotic Phrases Reusable Washable Cotton Napkins Set of 6 $15.00 Treasure Beach Shell Collecting Bag - Over the Shoulder Long Strap, Beach Prints $2.50 Mickey Mouse Ears Napkins - Bright Vibrant Red with Burgundy Mickey Ears $12.00 Set of Baby Burp Clothes Extra Soft and Large Turquoise, Gray and White Alpacas and Llamas Backed with Minky (Set of 2) $15.00 Valentine's Day Hearts & Roses Pink/White Cloth Reusable Washable Cotton Napkin Set of 4/Perfect for School Lunches or Home Use! 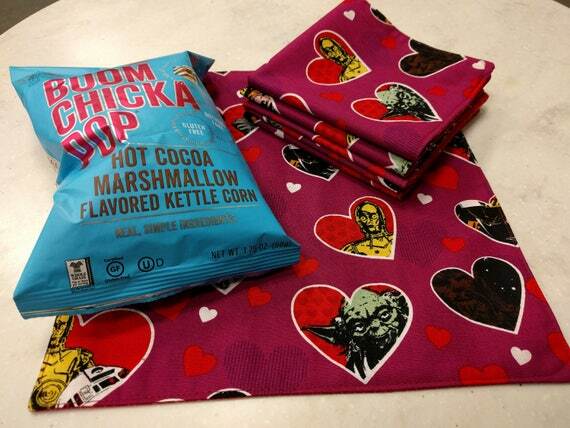 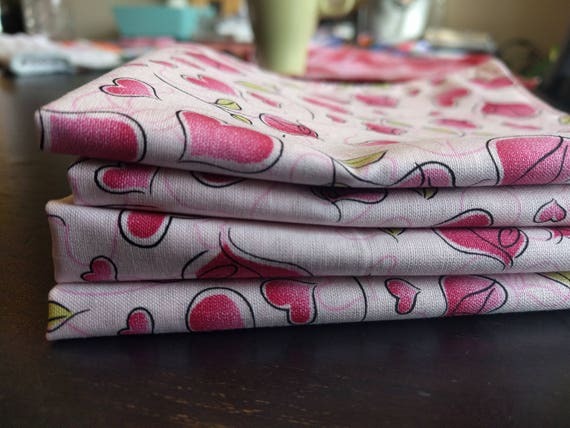 $4.00 Valentine's Day Star Wars Love Red and Plum Cloth Reusable Washable Cotton Napkins/Perfect for School Lunches or Home Use! 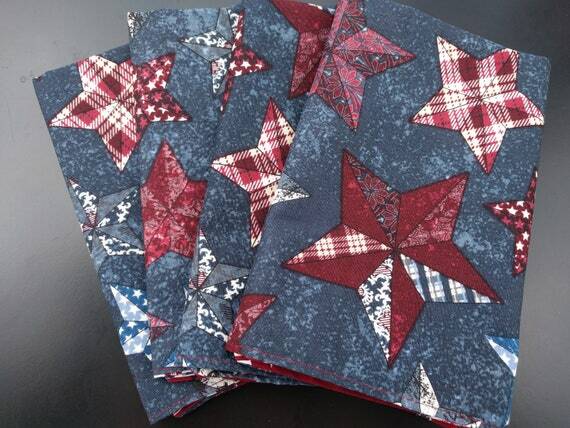 $34.00 4th of July Independence Day Reversible Napkins Set of 4 - Red, White, Blue Stars & Stripes (Washable, Reusable, 100% Cotton) $2.00 SALE!! 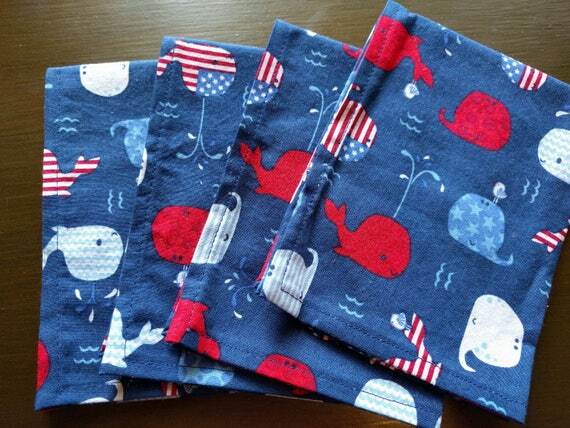 4th of July Independence Day Napkins - Red, White & Blue Whales (Washable, Reusable, 100% Cotton) Choose Your Amount!!!! 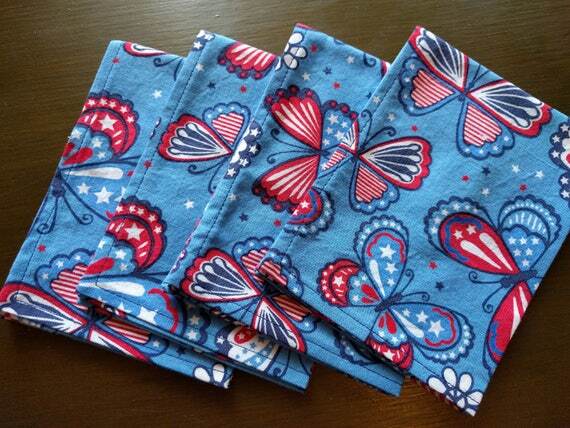 $2.00 4th of July Independence Day Napkins - Red, White & Blue Butterflies (Washable, Reusable, 100% Cotton) Choose Your Amount!!! 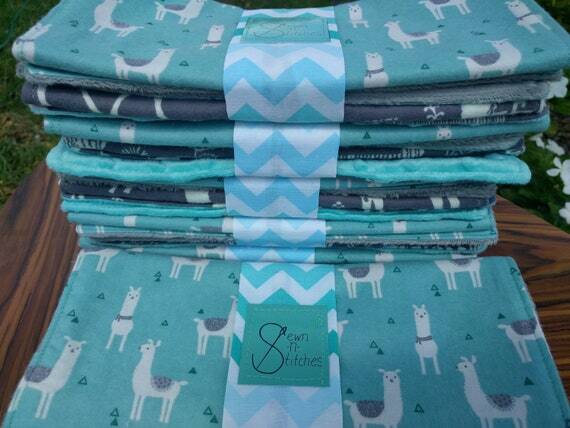 $2.00 Back in Stock! 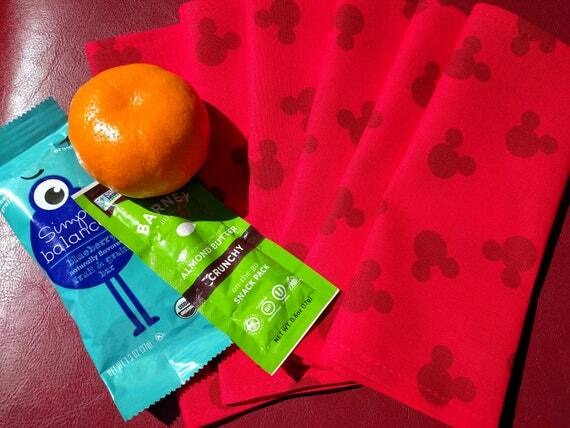 LIMITED EDITION Star Wars Cloth Reusable Washable Cotton Napkin / Perfect for School Lunches or Home Use! 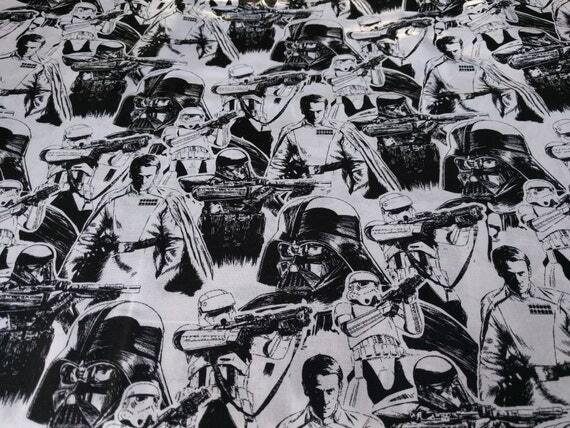 - Rogue One!